This is the actual website to download the charts. But my friend found the site through Pinterest! Viva la Pinterest! That’s why this post is perfect for this week’s Pinspiration write up. It’s amazing what we come across on that site, right? 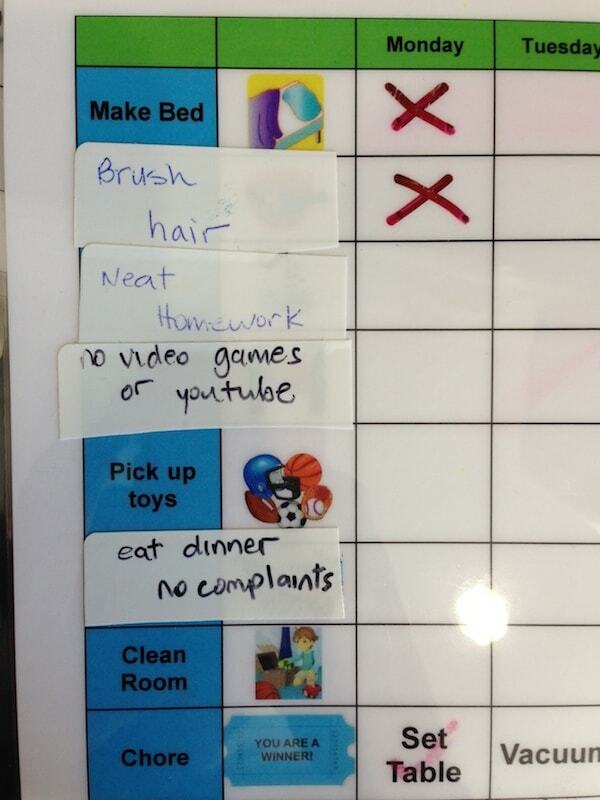 Now… I changed some of the things on the chart because my children are older and I really didn’t want to reward them for brushing their teeth and putting their clothes away. I felt that those duties were part of living. Instead, I added things that I needed to change. I can’t HEAR ANOTHER COMPLAINT ABOUT DINNER PEOPLE! I just CAN’T. 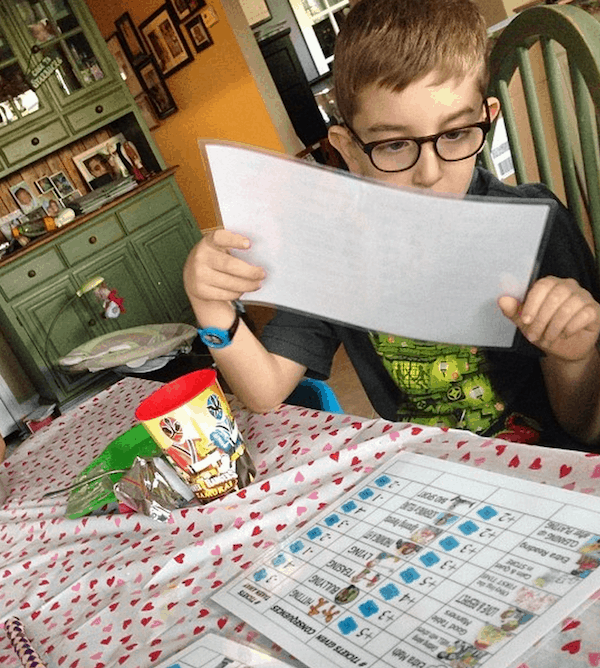 So, if my kids eat dinner without complaining … I will give them tickets. If they take their time and write neatly while doing their homework, I will reward them. ETC. I changed the sheet to reflect what I needed. And my children are OBSESSED. 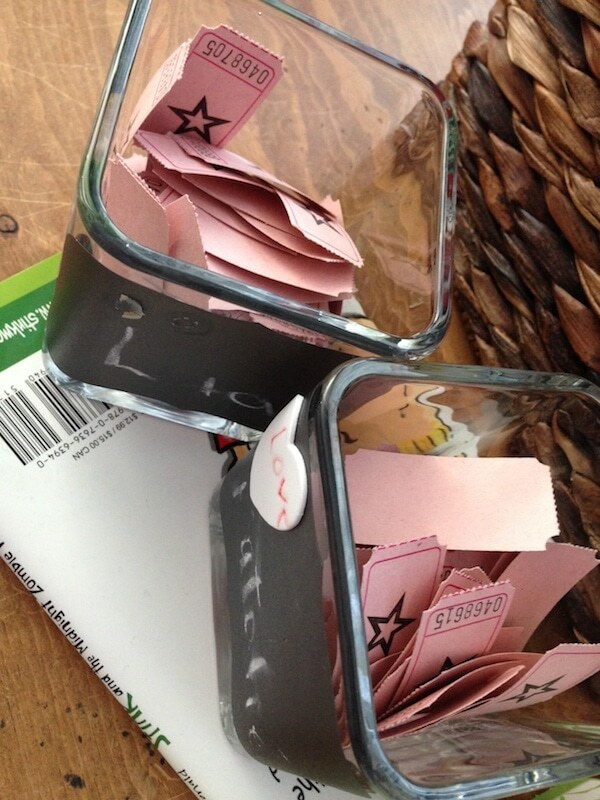 They each have about 70 tickets at this point but they are waiting to earn enough for one of the big ticket prizes. I’m not complaining! It’s really a wonderful system. I highly suggest you check it out. SO HAPPY I found the link! WOO HOO!